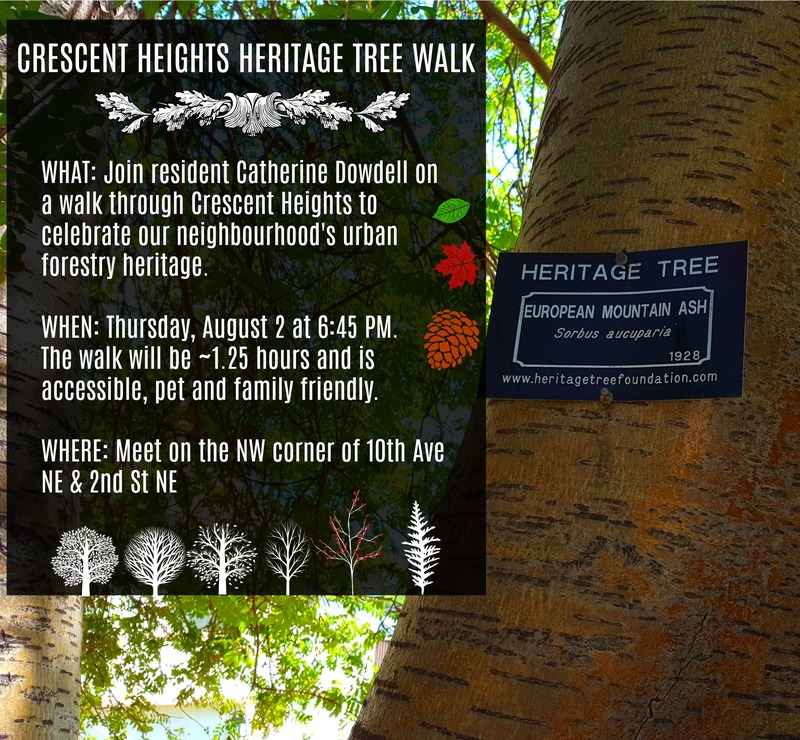 Join Crescent Heights resident Catherine Dowdell for walk through part of Crescent Heights to celebrate our neighbourhood’s urban forestry heritage. The walk will last approximately 1 1/4 hours and is accessible, pet and family friendly. Meet Catherine on Thursday, August 2nd at 6:45pm on the Northwest corner of 10th Ave NE & 2nd St NE. If you are interested in leading a Crescent Heights Walk or have an idea about a walk, please email info@crescentheightsyyc.ca.